Humans and dogs share a special connection. It’s one of the earliest domesticated animals. Unlike others, humans did not befriend them for the purpose of meat, fur, milk or something that derives from it. It’s unique, because of its unique ability to help humans in our tasks. The most obvious of which was hunting and safeguarding our houses. They were also used for war efforts, rescue purposes and as helpers to disabled people. There is no other animal that has provided us with the same degree of companionship and utility. Writing about all of their achievements would be a daunting task, so in this article, we will focus on their hunting prowess. More specifically we will be talking about Gun dogs, a wide range of dogs that have been bred especially for the purpose of hunting. It can be said hunting is the reason why we have so many different kinds of dogs. They have been specially bred for different tasks and purposes. So apart from having the right equipment, a decent hunting chair for example, it is essential for every hunter to know which dogs are best for what tasks. Here are the top 8 dogs widely considered as best for hunters needs. Bloodhound is somewhat of a legendary dog breed. The French-speaking part of the world mostly referees to them as St. Hubert’s hounds who was a patron saint of hunters and was responsible for breeding this species. Historically used for tracking deer and fox, their astonishing sense of smell later lead to using them for tracking humans. 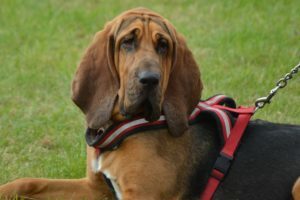 Along with hunting and police services, Bloodhound has also been employed prison guards, search and rescue and as a companion in battles fought centuries ago. While its level of intelligence is not outstanding and fall behind many other breeds, their disposition makes them relatively easy to train. Bloodhounds are very gentle creatures, but when it comes to hunting they are tireless pursuers. They come alive during the hunt, so much so, that if not trained properly they may be prone to disobeying orders. However, as mentioned above they are highly trainable, so investing time into Bloodhounds should give positive results very soon. Bloodhound’s weight can vary significantly and ranges from 80 to 160 lbs. The variance in size is not that dramatic and can reach up to 27 inches. Unfortunately, they are quite short lived. And average lifespan of a bloodhound is around 7 years. This is mainly due to an inherent predisposition to diseases. These dogs have a very high chance of suffering from gastrointestinal dysfunctions. There eyes and ears are also very sensitive areas. Because of this, they require frequent checkups and good care. Labradors are among the most popular dogs in the world. So much so, that many are not even aware of its excellent hunting capabilities. There are widely used as assistance dogs by people with disabilities. Due to its high level of intelligence, friendly disposition and loyalty, it’s easy to see why so many people favour this breed. But let’s talk about how good Labrador is as a gun dog. Not many people know this, but the whole reason this breed exists is that it was specially created to locate the game by its sent and bring it to the master. Due to its intelligence, the Labrador is a highly trainable dog. With some effort put in by the owner, you can teach it almost anything. It only takes around 30 minutes a day, to make Labrador the best hunting companion you will ever have. A simple catchphrases as “Come here”, will ensure that your dogs will bring you back whatever game you have hunted. Labradors also enjoy water immensely. Due to water repelling properties of their coat, you can be sure that dog can get in and out of any body of water, bringing you the coveted game. There astounding tolerance to pain will also serve as a great benefit when hunting in complicated terrain. 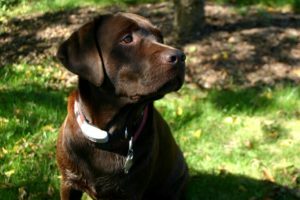 Keeping Labradors active is essential for their health. In fact, you will be doing a favour to both yourself and the dog, when taking it on hunting. With good health, Labradors can live up to the age of 13. American Foxhounds are descendants of English dogs that were brought to America in the 17th century. Both of those species have been specially bred for the purpose of hunting. So much so that American foxhound is generally recommended as a hunting dog foremost. It can also become a great family pet (as any dog) however that may require much more effort and investment. There are several reasons for it. Firstly, there is their signature barking, which can be heard from miles. Not many of your neighbours will be able to appreciate the melodic sound of It. It also requires quite a lot of exercise. This is a large and strong dog, which is relentless in a hunt. It is friendly and loyal, but if deprived of its needs for physical activity, its health and behaviour will deteriorate. This is why getting an American foxhound for hunting purposes is the best choice both for the hunter and the dog. Historically these dogs have been used for hunting in packs, for a larger pray. However, it does the job exceptionally well when going solo as well. It can go after foxes with great success and is even great for pursuing such heavy game as deer. Foxhound has a great sense of scent, however, it may get distracted by many different smells and puck up something you weren’t thinking about. American foxhound can be somewhere from 20 to 25 inches. However, some of them do tend to grow even larger and can achieve 29 inches. Its weight is generally around 57 to 70 lbs. It does not have any serious predispositions to diseases associated with the breed and a healthy foxhound can live up to 12 years. 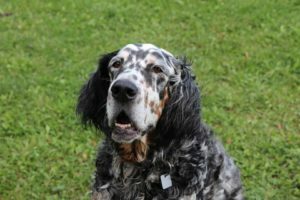 The English setter has a long and outstanding history of being one of the best hunting dogs out there. It is medium-sized (23 to 25 inches), with an average length of white coat covering most of the body. Furthermore it has signature long, silky fringes on the back of its legs, belly and tail. Their hunting history predates the use of guns. As the name itself suggest, once spotting the game, the dog would set low on the ground. Instead of guns, most hunters back then were armed with nets. So when the dog found the game, it would settle down, so that the hunter had a good view of the game and use a net on them. 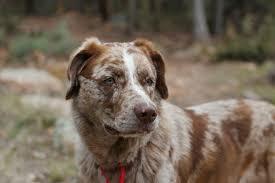 This dog is athletic and has exceptional stamina, so it is well suited for modern hunting parties as well. Also worthy of notice is its strong power of scent, which gives them the ability to smell the prey from a long distance. This is all around a good gun dog, however, its strengths are especially well suited for bird hunting. 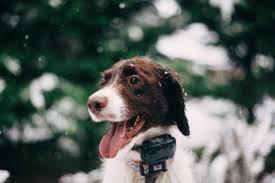 On average English setters have good health and can live up to 12 years. This dog originated as is named after a region in northwest France, where it was introduced as early as the 17th century. Often confused with spaniels, Brittany acts more like a pointer and setters during the hunt. Historically, it was used for hunting a feathered game. One of the outstanding characteristics of this dog is its trainability. This is mainly due to its kind nature, high intelligence and obedience. It’s a quiet and shy dog. So, you might need to put some effort into getting a Brittany out of its shell and socialize with other dogs from a young age. Brittanys are considered a medium size dog and grow up to 20 inches tall. 40 pounds is considered to be a healthy weight for a full-grown Brittany. This dogs are full of energy and tend to be very athletic. It is also considered to be a healthy species and with proper care, its lifespan can reach 13 years. As mentioned above this dog is not a spaniel, so using it to flush the game is not a good idea. Instead, you should focus its efforts on pointing and retrieving. This are the tasks Brittany excels in and with its impressive stamina, is willing to perform daily. Even though it has been bred to hunt birds, it is a very resourceful dog. It can hunt for woodcock and hare with the same amount of efficiency. 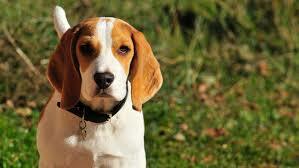 Due to their size and look, beagles are one of the most popular breeds of dogs. Why many like to buy them as house pets, beagles are in fact scent hounds. Historically, they have been used to mainly hunt hare. It has an exceptional sense of scent and can detect the game from miles away. This comes along with great instinct for tracking. With the combination of two, there are very few instances where beagle is not an ideal hunting companion when you are looking for a smaller game. They are also highly intelligent, even though without proper training they might get carried away. 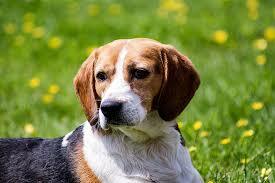 Moreover, their life expectancy is above average and a healthy beagle can live up to 16 years. Their size is there signature part of appearance. They generally don’t grow more than 16 inches. Most of them being from 13 to 16 inches tall. Their weight is also what you expect from this size and varies from 18 to 30 lb. The females of the species tend to be a bit smaller on average. They also lack any of inherent health problems, so getting yourself a beagle for hunting purposes is a win-win situation. With a beagle, you will be getting a lifelong friend and hunting companion. As the name suggests, this gun dog comes from Chesapeake Bay, United States. It was bred for hunting purposes in the 19th century. What makes this dog stand out and be a popular option for hunters, is their love of water and hunting prowess. For an amateur eye, it may look like a Labrador. However, their main physical distinction from that breed lies in their wavy coat. This dogs are full of energy and have a cheery disposition. In addition, they have a good level of intelligence, don’t shy away from work and are very loyal to their owners. Chesapeake Bay retrievers are above average sized dogs. Their size can go up to 25 inches and their weight around 80 pounds. This dogs can live to 12 years and due to their love of water are considered especially good for duck hunting. However, they are all around good hunters and can be used for most types of prey. 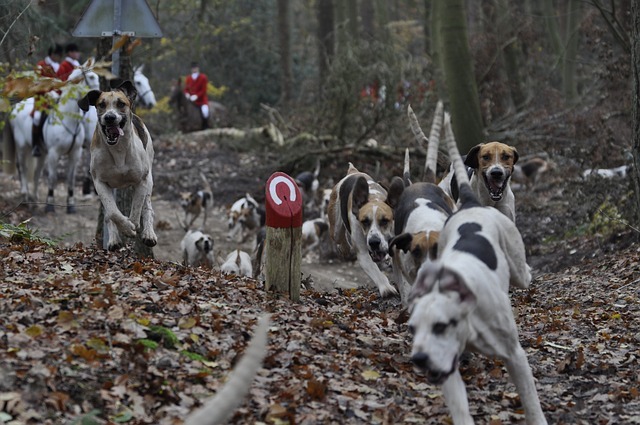 As the name suggests these dogs were bred in Germany and have 2 centuries worth of history of hunting excellence. German Shorthaired pointed is a jack of all trades. It is equally good for both land and water based hunting experience. Its strong build and speed make it perfect for retrieving almost any size of a game. Generally speaking it is not a hard task to take care of this dog, however, they do require a large amount of physical exercise. This is why getting it for hunting is an optimal way for keeping it healthy. 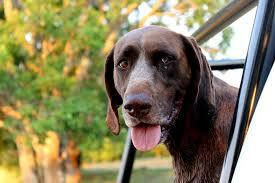 As mentioned above, the German shorthaired pointer is an all-purpose gun dog. It can hunt both feathered and furred game with same success. It can even trail such heavy games as a deer. It’s a medium to large size dog, with a great amount of energy and loving personality. Furthermore it does not like to be left alone for a prolonged period of time. If done so, it makes cause mayhem at your house, or even try to escape. So keep it close as often as possible. While it can also be a good guard for your house, It’s is not especially aggressive and will mostly limit itself with barking, when seeing strangers. All of the dogs mentioned in the list are excellent for hunting purposes, so they have not been rated by scale of 1 to 8. Most important thing to remember is that getting a dog either for family or hunting purposes is a great responsibility and should not be taken lightly. Invest time and energy into your dog and it will return it to you tenfold.